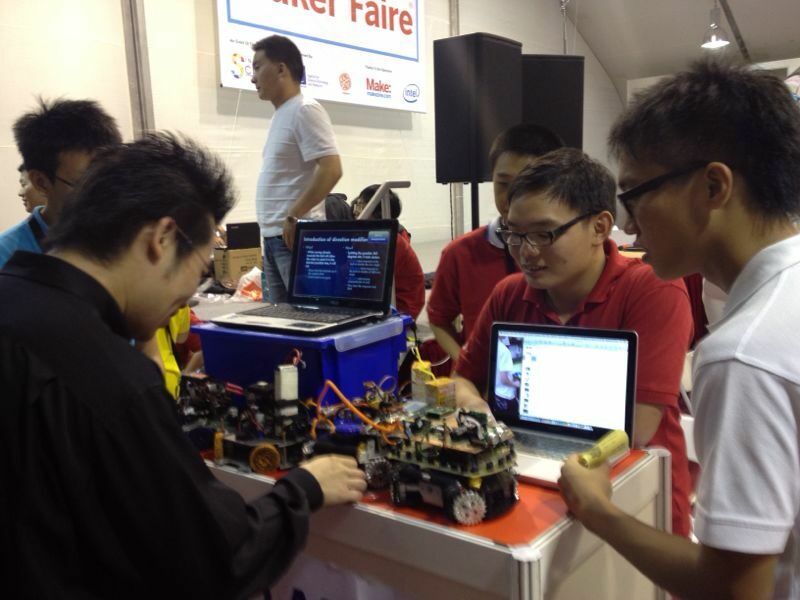 This is the first ever Maker Faire in Singapore! I was so excited that we finally have a Maker Faire here in our little red dot! Although it's a "mini" Maker Faire, it was like a huge playground to me! The fair was held at the Singapore Science Centre, as part of the Science Festival 2012. "Make", Maker" "Make Magazine" are all part of an active community of "Makers". Find out more or join the community at www.makezine.com! So exciting to see so many fellow "makers" under one roof! 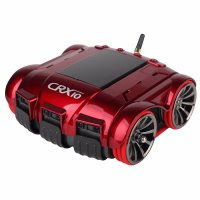 In my wishlist, the CRX-10 robotic platform! They have a huge collection of Arduinos! 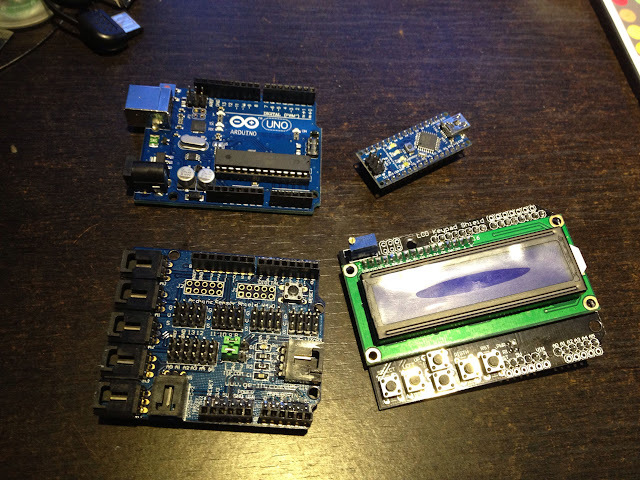 The Arduino is an excellent entry-level to micro-controller programming and I started on this hobby not very long ago. I'm a novice compared to what all these experts did with an Arduino.. I'll share some of my projects in my later posts... In the meantime..
A big hit of the Maker Faire are these 3D printers! This is Wee Kiam Peng, a brilliant man and the creator of Portabee, a 3D printer that fits in a laptop bag! One of the best features of the Portabee is the price. 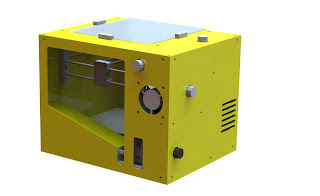 While many 3D printers goes by the $thousands$, Kiam Peng's Portabee costs (in his own words) "less than an iPad!" 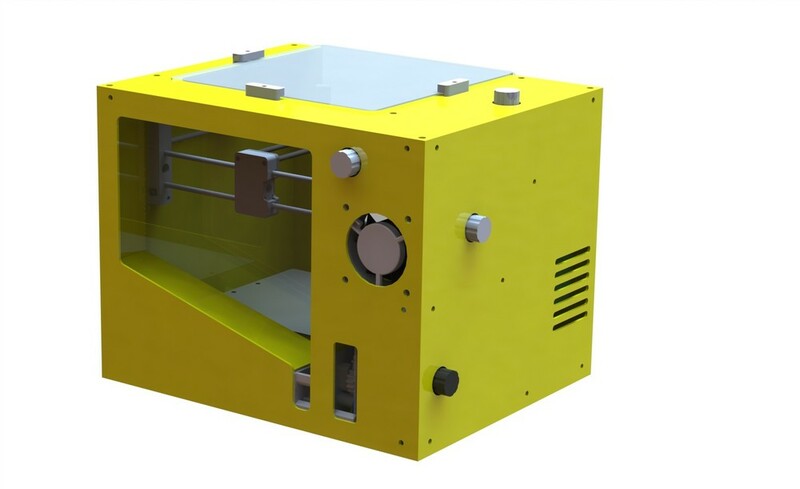 I had the chance to chat with Kiam Peng and found out more about his 3D printer, I was so inspired by his innovations that I attended his workshop where he talks about the Portabee. I really admire his innovations. It's too bad that I had already placed an order for a Makibox, otherwise I would have bought a Portabee.. at only SGD$600.00, you don't have to think twice! Nevertheless, if you're a maker, do support local innovations! Buy a Portabee HERE! Continue reading... go to Part 2 of this post! 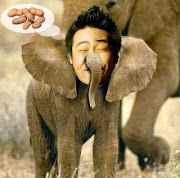 This is Part 2 of the post, click HERE if you haven't read Part 1! a really cool robot made of cardboard! Some really "wild" and unique musical instruments! The Arduino... The "brain" behind many projects in the Maker Faire! Me, taking a picture of the "blimp" taking a picture of me! One thing caught my attention at the Robocup booth... These "Omni-directional" wheels! I was inspired and created a project using "omni-directional" wheels, check out my project post here! A chat with the students revealed that these wheels were designed and custom made by them specially for their robot project. They were kind enough to show me their CAD design and offered to send me more details! A couple of booth showcasing Lego Mindstorm NXT projects. I began my robotics passion with a Mindstorm many years back! Autodesk's 123D CATCH! A really cool FREE iPad app that allows you to convert a series of photos into a 3D object. An innovative (and free) 3D scanner! Origami art by a couple of really creative students! And many many other cool stuff! It's too bad I had only found out about the fair a few weeks back. I would love to have a booth in the fair! I hope it comes back next year, I wouldn't miss it for sure!